The Passions Fearless Firm Twin Extra Long 16 1/2" Firm Coil on Coil Mattress and 9" Wood Foundation by Kingsdown at Story & Lee Furniture in the Leoma, Lawrenceburg TN and Florence, Athens, Decatur, Huntsville AL area. Product availability may vary. Contact us for the most current availability on this product. 1519-FD85-TXL Twin Extra Long 9" Wood Foundation 1 9"
24003-TXL Twin XL 16 1/2" Firm Mattress 1 16.5"
The Kingsdown Passions Collection is Exceptionally Cool and Supportive. 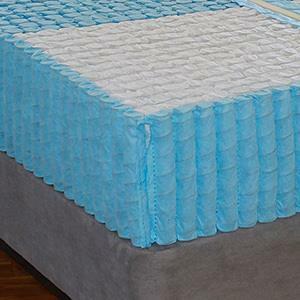 Combining the support of a double stack of individually wrapped tri-zoned coils for targeted support and reduced motion transfer, with layers of comfort foam, including Gel Foam and Latex for a truly luxurious feel. Gel materials within the quilt, along with a Silk and Wool Fiber blend, promote a cooler sleeping surface inducing relaxation. It is Kingsdown's passion to give you a smarter mattress for a better nights sleep. 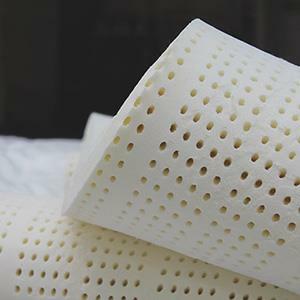 By combining the latest in material technology and the hand craftsmanship that goes into every mattress, Kingsdown is confident you will sleep well on their products. The Passions Fearless Firm collection is a great option if you are looking for Mattresses in the Leoma, Lawrenceburg TN and Florence, Athens, Decatur, Huntsville AL area. Browse other items in the Passions Fearless Firm collection from Story & Lee Furniture in the Leoma, Lawrenceburg TN and Florence, Athens, Decatur, Huntsville AL area.